Our church has been observing Advent since 2012, which became a doorway to more participation in liturgical life. The church has a message of power at Christmas! 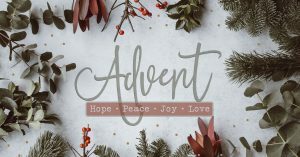 The season of Advent celebrates that Christ came, and that Christ is coming again! So, for the next four Sundays and Christmas Eve at CIL we will share the message of Advent. Come expecting songs about Jesus, preaching about Jesus, and communion centered on Jesus. There is not a more important activity for you this Christmas season.